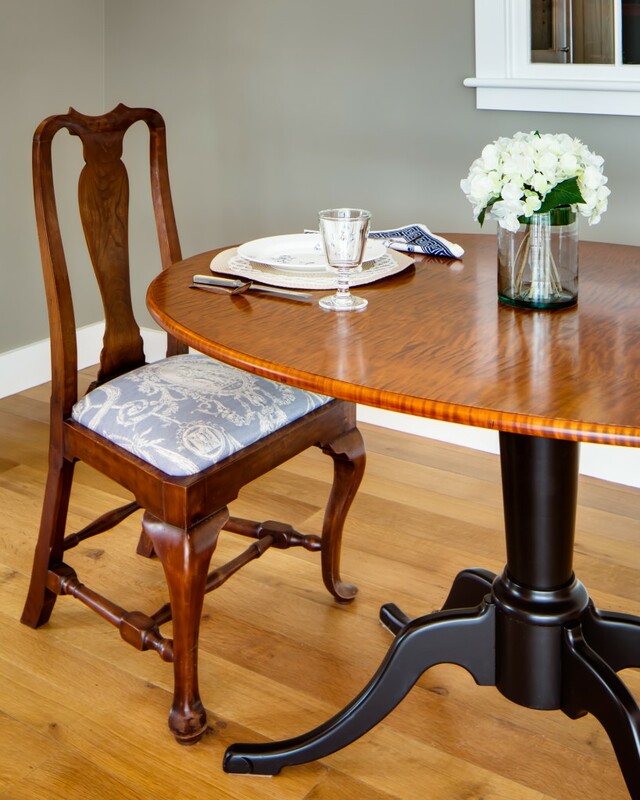 A nicely proportioned table for your small dining room or breakfast nook. The attractive oval top is shown here in flitch matched curly maple richly stained and top-coated with a durable, multi-coat finish. The hand turned pedestal and gracefully sweeping legs are crafted in solid maple with a lustrous pigmented lacquer finish. 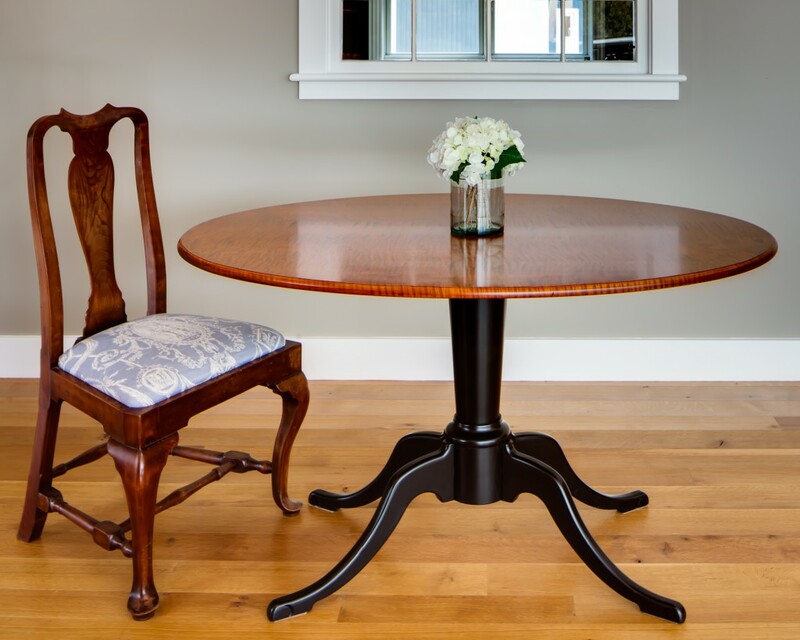 The Addison Pedestal Table lends charm and grace to any room.